Michael Schumacher, the seven time champion started racing for Mercedes from 2010 to 2013 after leaving Ferrari in 2006. As per news, it has been told that the hero did come back to his former Ferrari team in 2009 after persuasion by Luca Di Montezemolo, the team principal. The champion was due to participate in the Spanish Grand Prix. However, the hope and expectations of both Ferrari and the super racer were dashed post medical concerns that stopped him from driving. The former team principal Di Montezemolo made certain revelations that stunned the public and his supporters. He met Schumacher in the year 2009 soon after Felipe Massa, the Ferrari driver met with a terrible crash in Hungary. At the beginning, Schumacher was reluctant and he was convinced for more than an hour to drive for Prancing Horse once again. While speaking at the Schumacher exhibition that took place in Cologne recently, Di Montezemolo said he was deeply saddened when he heard about Felipe’s accident. That’s when he approached Michael and asked him to visit his office. He said to Schumacher that he should come back for Ferrari, but he refused initially. He was the consultant for Ferrari then and hence refused in the beginning. After an hour of persuading, Schumacher finally did accept the offer. The F1 legend suffered a severe head injury and was left in a coma, with official updates from close to Schumacher very scarce in the following months and years. Racing driver Michael Schumacher suffered life-threatening injuries following a ski accident in the French Alps in 2013. The F1 legend was left in a coma after sustaining a severe head injury in the incident. Earlier this year, a Hamburg court ruled German outlet Bunte must pay Schumacher €50,000 for false claims that he could walk again two years after the accident. Official updates from Schumacher’s family have been incredibly scarce in the months and years following the incident. 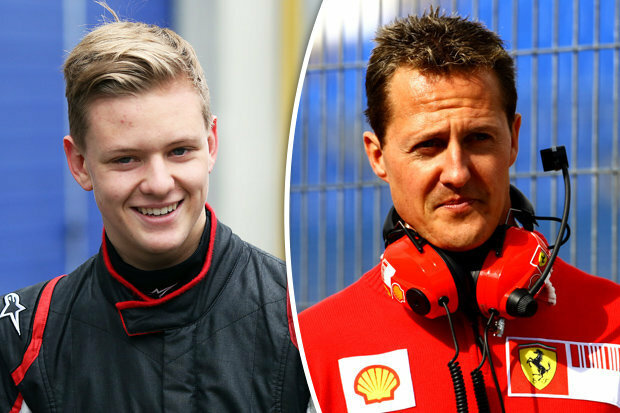 Corinna Schumacher, the wife of Michael Schumacher, a seven-time Formula One World Champion made a rare public appearance just last weekend as her son, Mick Schumacher made his Formula Three debut at Silverstone. Corinna had been notably scarce after a tragic incident left Michael incapacitated almost three years ago. The 48-year old woman was present amongst the crowd at the F3 event which saw her son finish sixth, eighth and 18th. Despite her making her appearance as discreet as possible and maintaining a low profile, Jean Todt, FIA president made the revelation on Twitter that she had attended the race. After there was news of fans being outraged when a tribute message to Michael was taken off from Ferrari models, there is news of hope coming in about Michael being able to walk and the possibility that he would soon be back to support his team. Indeed, Ferrari has not had a driver like Michael when he drove for this Italian company in the fifties. He was able to win the title about seven times and that has made him a legend to all. Former technical director of Michael Schumacher Ross Brawn has come out to comment on the status of the injured sportsman’s health. Brawn said that he has been showing encouraging signs of recovery from his accident; Schumacher had undergone a serious skiing accident that has caused him severe injuries leaving him hospitalized and hanging on for dear life. The former technical head said that there had been a lot of wrongful speculations about the sportsman in the media about the state and degree of his injury that has led to his family making a decision to keep his recovery private. This is not a surprise seeing as Michael is one of the biggest names in the sport and a lot of people would want to be kept abreast of his development. The seven time world champion had sustained severe and multiple injuries to the head in an unfortunate skiing accident back in December 2013 in the resort of Mirabel, and since then, so much news had filtered out about his well being. For a little over six months, Michael Schumacher had been put in a medically induced coma. This was due to some head injuries he had suffered after a fatal skiing accident in December, 2013. In June 2014, he was transferred to his private suite in Geneva and not much has been heard about his health progress since then. In recent times, several reports concerning his health condition has varied but word from Ross Brawn, former F1 team principal suggests that there is hope. Brawn, in an interview with The Guardian recently, had said that they were “extremely hopeful” towards a positive progress in his health condition. “We go see him and hope and pray that one day he will make a recovery,” Brawn said. “I was quoted as saying he’s improving and it was not what I really meant. The family are conducting his convalescence in private and I need to respect that.